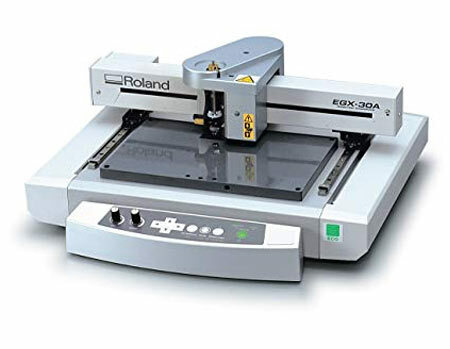 The Roland EGX-30A desktop engraver produces everything from gifts and awards to signs and rhinestone decorated apparel. This cost-effective engraving solution comes complete with bundled software, a vacuum hose and a brass adaptor for scribing. The EGX-30A boosts production and profits as it runs quietly in any office setting. The EGX-30A comes with a full set of tools, saving you money and getting you up and running right out of the box. The desktop device also comes with a vacuum attachment to make production clean and efficient. A USB port and cable ease setup and communication with engraving software.